why use a .org.uk domain name? why should our charity use a .org.uk domain name? 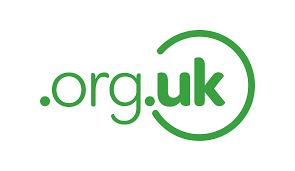 org.uk domains are THE recognised domain name extension for UK charities and not for profit organisations. The general public recognises that .org.uk represents such organisations and therefore conveys a sense of trust. Because the public's perception of associating .org.uk with "not for profit" is so strong, if your charity currently uses a .co.uk for example, it maybe unintentionally giving off a message that you are "for profit" rather than "not for profit". Almost every major UK charity uses the .org.uk extension; for example, The Arts Council, Oxfam, RSPCA, The National Trust, Save The Children, Barnardo's, The Red Cross, British Heart Foundation, NSPCC, Mencap, The Salvation Army, MacMillan, Marie Curie, Age UK, Christian Aid and The British Legion. Furthermore, in such difficult times for charities with threats to their income stream, it is even more important that your organisation strengthens their online presence with the best available domain name. Remember that the internet is like the High Street and you want your charity to have one of the best web addresses on the street and .org.uk is THE online brand for UK charities.